Please Note: The integral thermostat functions as a temperature control only. This is not a fail safe device. 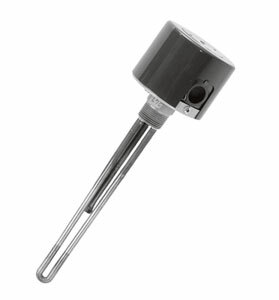 An approved pressure and/or temperature control should be used with these heaters to assure safe operation. See the Temperature Section for our selection of control devices. /* Designate voltage, ie., insert 208 for 208 Vac, 240 for 240 Vac, or 480 for 480 Vac. Model numbers containing 240 V are only available in that voltage.